May I offer you a drink? Perhaps some switchel? 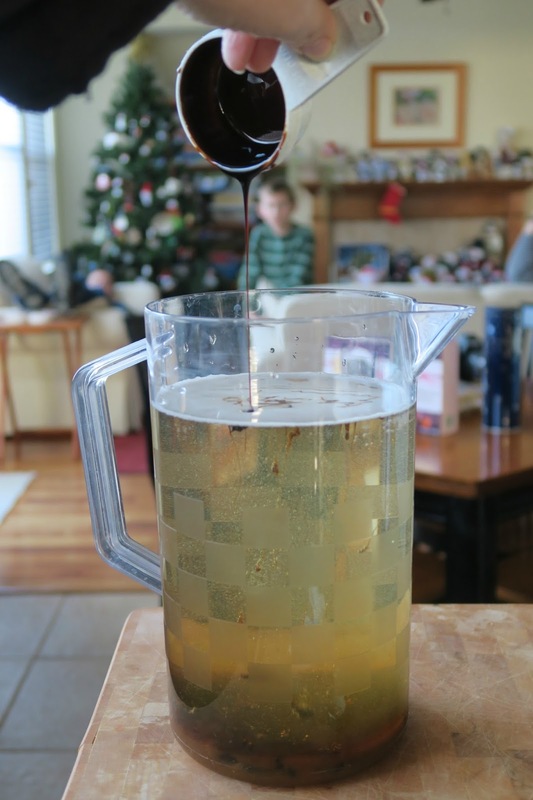 As you can tell from the Christmas tree in the background, I made this switchel a few weeks back. New Year's Eve, to be specific. Usually, I make some sort of crazy themed meal for New Year's Eve. I ended up changing my plans and doing a very ordinary meal because of new food restrictions for some of my guests. So I made a crazy drink instead. 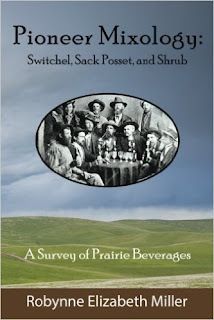 Jonna gave me a cool book called Pioneer Mixology: Switchel, Sack Posset, and Shrub. I love cooking and eating my way through history, so it was the perfect gift for me. Having never tried any of these intriguing drinks, I was eager to make switchel for my guests. According to the book, switchel is "a mixture of molasses, ginger, water, and a dash of vinegar, contained in a brown jug cached under the shade of a bunch of alders or partly submerged in a spring hole. On a hot day when men were mowing, raking, or pitching hay, frequent trips were made to the switchel jug." There wouldn't be any mowing, raking, or pitching of hay on New Year's Eve (other than feeding some to Trouble), nor do I have alders or a spring hole, but I didn't let that stop me. 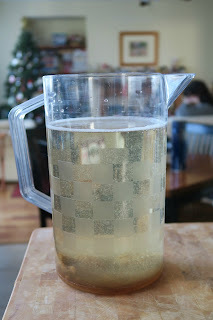 The recipe starts with 2 quarts of cold water, 1/2 c. of apple cider vinegar, and 1/2 c. of brown sugar. 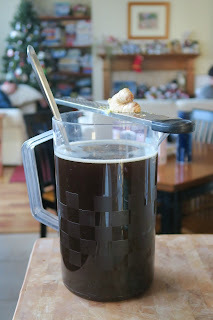 Next, add 1/4 c. molasses. Add 2 tsp. of ground ginger (I grated mine fresh), stir, and serve. So how was it? The opinions were mixed, but I found it weirdly tasty. I could see how it would be very refreshing on a hot day while working hard. 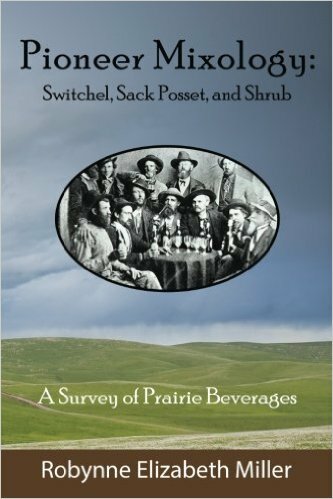 I'm looking forward to trying the sack posset, shrub and dozens of other intriguing prairie beverages! Oh gosh... IDK about that?! I mean, I'd try it...w/ trepidation, LOL! Still I applaud your, and your guests' , sense of adventure! I have never heard of such a drink! I'm not sure if I would like it, but it would always be worth a try. I really enjoyed it - and went back for seconds. I'd love to try it again in the summertime. I would try it .... cannot promise I would like it though! LOL! !